SoHum™ Living Soil is handcrafted by growers for growers to provide a true living bio-dynamic mix to be used for container growing in and indoor/outdoor setting. 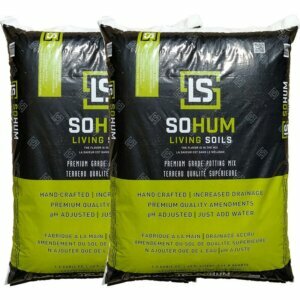 Why Buy from SoHum Living Soils? SoHum Living Soils is dedicated to the absolute highest quality of cannabis production by creating the best organic soil for cannabis. We make it easy for growers of all sizes, in virtually any indoor or outdoor growing environment, to excel through our custom “super soil.” Each offering has been hand-crafted by and for growers using organic, sustainable, holistic methods built on the latest science. Dr. Marijane is an advanced probiotic formula that incorporates three distinct strains of beneficial bacteria in a natural, synergistic relationship. Isolated from natural soils and rigorously tested, these ingredients can supercharge your crop by raising the bioavailability of your fertilizer and soil amendments. It only takes a small amount of Dr. Marijane to enhance the development of your plant roots, increase the size and health of vegetation, and boost overall production. Every batch of Dr. Marijane is certified organic and amazingly simple to use. Plus, it is suitable for any growing environment – soil, soilless, hydroponics, and even aeroponics. 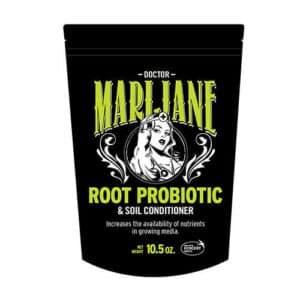 To find out more, visit Dr. Marijane Probiotic Soil Conditioner. When it comes to superior soil mixtures for cannabis, SoHum Living Soil is truly second to none. Considered the best soil mix for cannabis by thousands of satisfied growers around the US, SoHum Living Soil is a premium soil that provides a steady stream of key minerals and nutrients and uses only ingredients allowable under the National Organic Program. Our handcrafted selection of natural ingredients invigorates your crop with the nitrogen, sulfur, potassium, phosphorous, calcium, and magnesium it needs. That leads to unsurpassed quality and flavor alongside robust health and resilience to common growing hazards. For further details, check SoHum Living Soil. No matter where you are, we invite you to get started with SoHum Living Soils today. You can purchase our products online anytime or use our Store Locator to find a location near you. If you want to help others discover the power of SoHum Living Soils, we’ll be glad to have you. Become a dealer with our retail program, and we’ll have you set up in a snap. Large-scale distributors may be interested in joining our wholesale program. SoHum Living Soil is changing the way growers cultivate the best cannabis and a wide range of other challenging, resource-intensive crops. Get started today and see the difference yourself.